If you drive for a living, or if you regularly travel long distances, you’re bound to have taken sanctuary in having a reliable, accurate satnav, either as a standalone device or on your phone. This infographic selects a few of the best satnav devices and apps on the market, categorising them by value so that you can spot a bargain if you’re on a budget or know what satnav will deliver the highest quality if you’re willing to spend big. The Ministry of Transport (MOT) test is an annual vehicle safety and road worthiness test which examines road vehicles on a number of criteria to determine whether or not they are safe to be used on public roads. Your vehicle is first required to undergo an MOT test three years after initial registration (i.e. any vehicles initially registered in 2013 required their first MOT in 2016). Thereafter, vehicles must undergo an MOT test every year, with the due date determined by its last test (i.e. any vehicles which passed an MOT test in October 2016 are due for another MOT in October 2017). In some cases, vehicles require their first MOT within one year of initial registration. A list of such vehicles can be found on the UK Government’s website. Partial retests will cost half of the initial test fee. The maximum fee for a duplicate test certificate is £10. Ensure that all vehicle controls (e.g. indicators, windscreen wipers, lights) are working properly. Ensure that your vehicle’s fuel, oil, brake fluid and windscreen wash is topped up. Ensure that seat belts and doors can be opened and closed. Check that all items such as seats, steering wheel and registration plates are fastened securely. Check that your tyres’ tread is at least 1.6mm and that all tyres on the vehicle are consistent in terms of size. Ensure that there are no sharp edges or potentially hazardous damage to the vehicle’s exterior. Bounce each corner of the vehicle to see if it goes down under pressure, rises to full height and then settles. Ensure that you can see 100% clearly out through the windscreen. Also, check that your headlamps’ brightness isn’t curtailed by an accumulation of debris. Check that your exhaust isn’t emitting smoke or leaking. Bring the vehicle registration document, letter of appointment and any current Certificate/Notice of Refusal with you to the MOT test. What happens during an MOT test? Show up in good time (at least 10 minutes early) on the day of the test, as per the appointment notice you will have received either in the post, by text or on email. If you cannot make it to the test centre for the appointment, you can ask someone else to present your vehicle for the test. When you arrive at the test centre, park in the lane specified in your appointment notice. Keep your engine running at normal temperature for the emissions test. You will be asked to drive your vehicle into the testing hall when the testers are ready. After the first few checks, the tester will take control of your vehicle and you should go to the test centre’s waiting area. You will be able to see the test being carried out. Passengers and pets are not permitted in the testing hall at any stage. In rare cases, your vehicle may be chosen for a randomly administered quality control re-check. However, the probability of this happening is low. 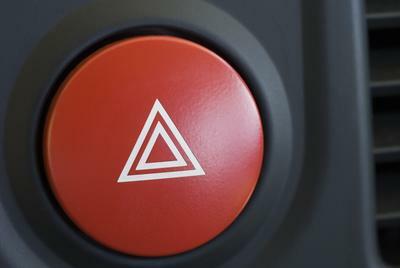 A few minutes after the test is finished, you will be informed of your vehicle’s result. You will either get a vehicle test certificate (if passed) or a list of faults which need to be repaired (if failed). This 2-minute video shows what happens during an MOT test. What is checked in the MOT test? 38.3% of vehicles fail the initial MOT test. Vehicles which fail the initial MOT test report an average of 3 faults. After your MOT, you will be given documentation based on the outcome of the test. If your vehicle is deemed to have passed its MOT test, you will be given an MOT certificate confirming that your vehicle is officially in a roadworthy condition. The certificate comes in two parts: one of which contains test details (for submission when taxing your vehicle), the other containing an inspection report. You should continue to drive safely and maintain your vehicle’s condition for the duration of the MOT certification. If your vehicle is deemed to have failed its MOT test, you will be given a document detailing the faults which need to be addressed. You will be able to book a retest for a reduced fee within 21 days of the initial test. If you leave it any later to book, the retest will cost the full price of an initial test. What scenarios are exempt from MOT testing? In the vast majority of cases, a vehicle which is less than three years old does not require an MOT, although some vehicles could require an MOT within one year of initial registration. You can book an MOT retest for a fee smaller than that of the initial test fee, provided you book it within 21 days of the initial test. Otherwise, you will be charged the full test amount again. However, if you bring your vehicle back to the same testing station before the end of the next working day for a partial retest, or if you leave the vehicle at the testing station for repair within 10 working days, no additional fee will be charged. If the vehicle is removed from the testing station for repair and brought back for a partial retest within 10 working days, you will only need to pay a partial retest fee. You should note that only one partial retest can be obtained for each full test. Obtain a VS17 form from the testing station where the test was carried out, or download it from the UK Government website . Complete the form and send it to your local Driver & Vehicle Standards Agency (DVSA) office within 14 days. You must also send your full test fee when lodging the appeal. The DVSA will offer you an appointment within 5 working days to get the vehicle rechecked. If it is successful and the result is overturned, the fee (or part thereof) will be returned to you. Got an MOT coming up? Drop your car into Woodstock Motors today! We hear a lot about how digital marketing has transformed business. So many businesses are formed online now and the high street retail industry as we know it has been transformed beyond recognition. The car industry has been slow to react in comparison to other industries, this is likely to be because they believe that consumers will be slow to move to online purchasing of something as high value as a car. This is untrue however as we have seen the proliferation of the online second hand car market where now many car dealerships are now trying to muscle in on into the private car selling niche. We have put together this infographic which examines digital marketing including social media and its impact on the car industry. Check it out! This infographic is about things to remember when driving abroad. When I first came into the motor trade there were basically two ways to paint a car – cellulose or two-pack. Cellulose paint is a solvent-based paint based on cellulose. It is good but it takes a lot of manual work. Each layer has to be lightly buffed down with wet and dry before a new one is sprayed. And the outcome is very much determined by the skill and attention to detail of the body-shop sprayer. A really good finish has a kind of glass-like finish. A poor quality finish can have a slightly orange peel kind of visual texture. Cellulose was the cheaper option but it was still time-consuming. Then there was two-pack. Two-pack was always reserved for the really expensive classic car renovations. Two-pack paints include a cyano-acrylate base which sets a bit like superglue. But cyano-acrylates, as the name suggests, are based on cyanide chemicals. So two-pack paint jobs had to be sprayed in a specially ventilated paintshop with the sprayer wearing a fresh-air supplied suit and mask. As you can imagine, that was a lot of kit and a lot of faff. But the results were spectacular. You would get a really perfect finish and one that lasted incredibly well. More recently the pressure to deliver environmentally-friendly paintshops has meant the industry has shifted over to acrylic, water-based paints. And at the same time the quality of the materials has improved spectacularly. We are able to paint a car better and quicker than previously was possible with cellulose-based paints and really modern acrylic paints are approaching the kind of quality you used to get with the most skilled two-pack sprayers. And because the time taken to paint the car is shorter the actual cost of labour has come down. Although not every car owner is aware of this and some bodyshops do seem to still exploit this lack of knowledge on the part of customers by over-charging.